Well, here it is...our best from 2012. Last year wasn't a particularly prolific year of shooting for us, but we did squeeze in a few trips for some focused shooting in new spots. It's always a challenge to narrow down our favorites from the past year to a manageable collection, and in the interest of length, we decided to limit ourselves to 12 images each. Feel free to leave a comment and tell us which images are your favorites! Marin County: Golden Gate Bridge at Sunrise by Beth. Panoche, CA: Brilliant Sunset by Terry. Garrapata State Beach: Bowling Balls by Beth. 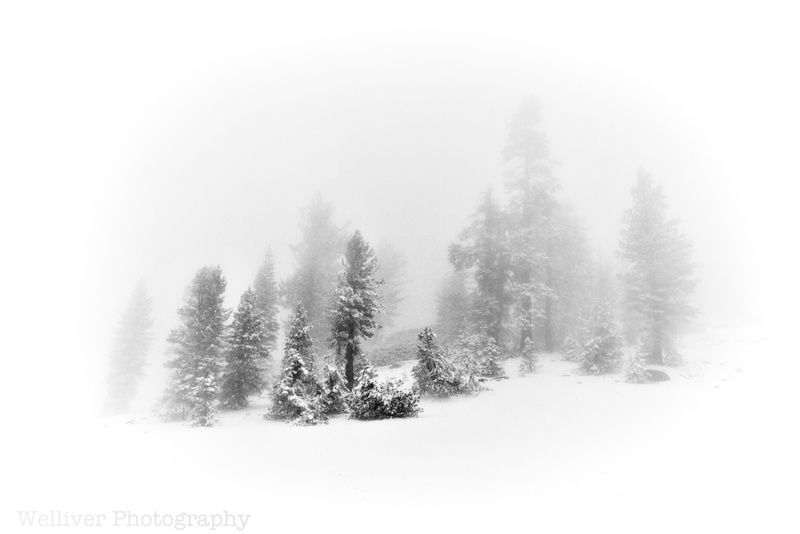 Kaiser Wilderness: Snowy Trees by Terry. 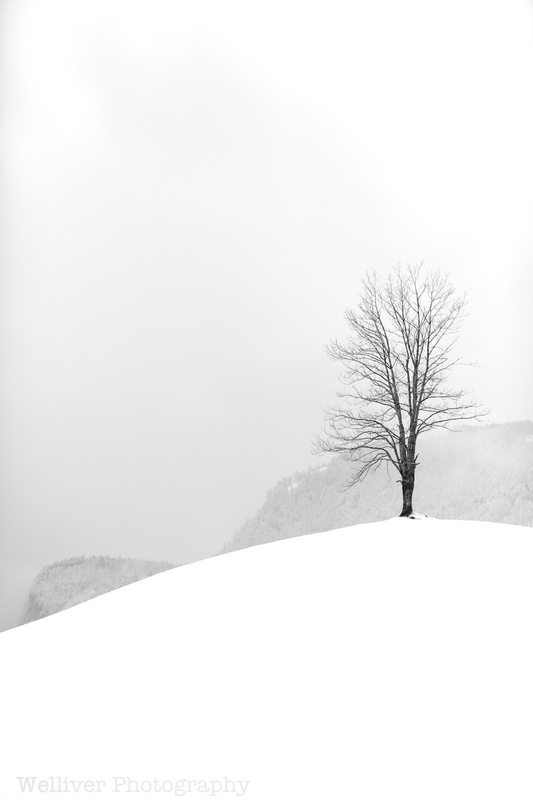 Switzerland: Lone Tree on a Snowy Hill by Beth. Desolation Wilderness: Trail along Lake Aloha by Beth. Kaiser Wilderness: Snowy Scene by Terry. Front Yard, Spreckels: Poppies by Beth. 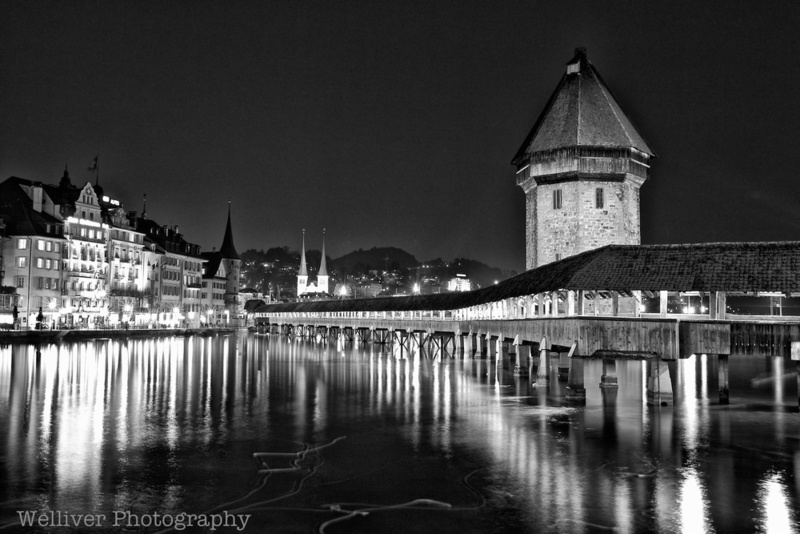 Switzerland: Kapellbrücke Nacht (Chapel Bridge Night) in Lucerne by Terry. 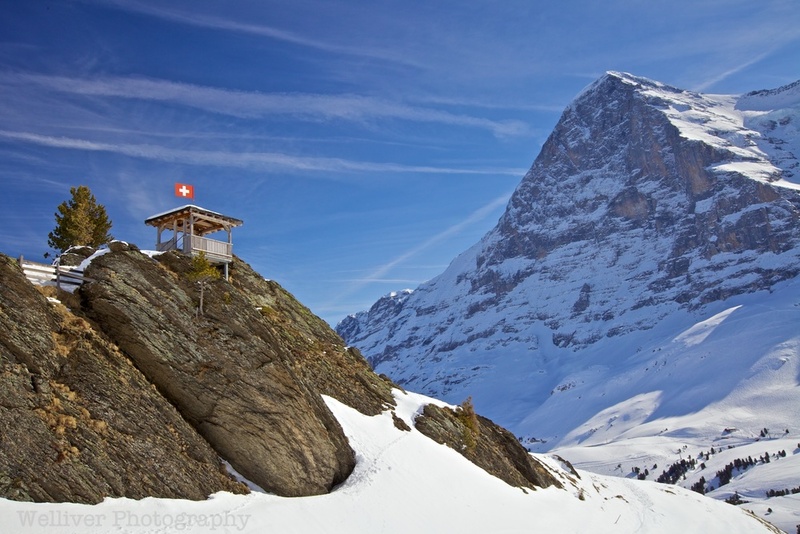 Switzerland: Hut and Eiger by Terry. Switzerland: Three Alps by Beth. Switzerland: The view from Männlichen by Beth. Not the best technical execution in this photo, but the story behind this photo is epic. Stay tuned for that blog! Big Sur: Bixby Bridge by Terry. Twenty Lakes Basin, Hoover Wilderness: Trail beside Conness Lake by Beth. Twenty Lakes Basin, Hoover Wilderness: Cascade by Terry. Twenty Lakes Basin, Hoover Wilderness: Campsite by Beth. Columbia River Gorge, Oregon: Multnomah Falls by Terry. Manzanar National Historic Site: Prayer Flags by Terry. Columbia River Gorge, Oregon: Waterfall by Terry. Monterey, CA: Mustang by Terry. Alabama Hills: Lathe Arch by Terry. 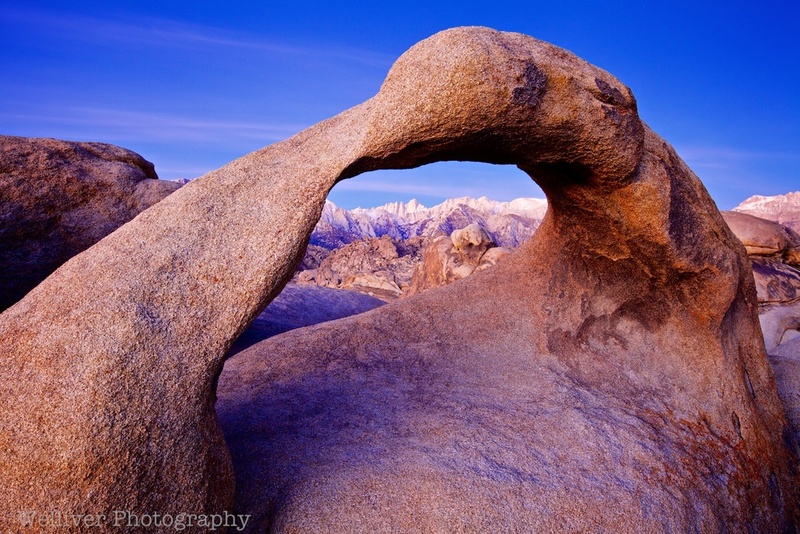 Alabama Hills: Mobius Arch, Rock, and Sierra Crest by Beth. Alabama Hills: Mobius Arch by Terry. Iowa: Cold Morning by Beth. Of course Massey is wondering why she isn't included, so here's a bonus image of the dog posing like a rockstar. Alabama Hills: Massey in the Mobius Arch by Beth. We compiled our Best of 2012 in order to participate in Jim Goldstein's annual "Best of" collaborative project. In the next couple week's he'll post a whole long list of links to similar "best of" posts from other photographers. Be sure to check out that list as there is some truly amazing and inspiring work out there! Thanks for supporting Welliver Photography in 2012. Big opportunities coming in 2013...plenty of adventures to new places on tap. Here's to textured skies and nice light! 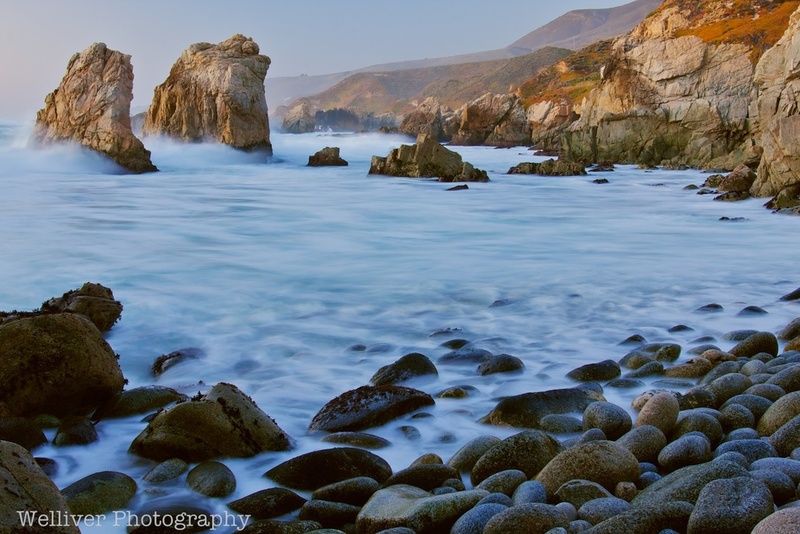 All photographs in this post are available for purchase in our Best of 2012 gallery on our store. We were testing our new lighting setup the other night and our little diva was our model. We also have this Aperture Preset, Milky Noir, which gives a nice vintage finish on shots. They just seemed appropriate for the little rockstar. Of the same run. No other explanation is needed. Another Thirsty Thursday here again...time to pour something yummy and make those weekend plans. This week we jump across Pacific to share a little Japanese festival fun! Our West Coast readers have probably noticed a few signs or community advertisements for festivals in the nearby Japanese communities here in the US, so we decided to share our experience at the real deal in Japan. Summer time in Japan is full of festivals, and you can find a matsuri, or local festival, in small towns around Japan nearly every weekend during July and August. Just a few train stops from where we lived in Japan is a town called Hachioji. We usually went to Hachioji to hit up our favorite ramen and gyoza shop, but in late July they hosted the Hachioji Matsuri. Early in the day, teams carry small shrines called mikoshi through the streets. Then hundreds of women clad in kimonos and yukatas line up to do a tradition folk dance. Its more like a choreographed parade than a dance, but its beautiful to watch. Thirsty Thursday are usually a little post where we come up with a suggestion for weekend activities. This week we're not making a suggestion. We're telling you. . . if you are American, you must watch the US Women's National Soccer Team as they play for the World Cup title on Sunday. Even if you aren't American, you should still watch. USA vs Japan. . . only few people could have predicted these two teams in the 2011 World Cup Finals. We will be rooting for the good old USA, but we are also so happy to see the Japanese team in the finals after everything that has happened this year. Most of you probably know that we were both soccer players at one point in time. And, at some point, we considered ourselves decent players. Our experiences playing the beautiful game pretty much ended with college. However, we were both quite lucky to play for our military national teams. Terry played with the team in 2005 in Victoria, Canada and I played in 2004 in Virginia and in 2006 in the Netherlands. We can only imagine what it must be like for the USA women. The games this year have been awesome—watching the upsets, feeling the joy, and feeling the pain. The final has the makings of a great match. Best of luck to both teams, we hope the match is as well played as the others we've seen. But make no mistake, this household is all USA. Go USA! We spent last weekend doing a little wine tasting, photo scouting, and bike riding in San Luis Obispo. On Saturday evening we went out to Pismo Beach for sunset. The surfers were far more interesting than the sunset. Last Friday morning I got up super early to make the 50-minute drive to Pinnacles National Monument. I wanted to be there for sunrise, just to see what the early morning light was like in the west side of the park. Its never hard for me to pop out of bed when I'm headed out to shoot a sunrise, especially when I program the coffee pot to grind a fresh cup for me as I wake up. Out the door, down the 101 and right on time for arrival at the west entrance about 20 minutes before the 5:58 am sunrise. As I'm making the final turn toward the park, a waiting CHP car in the intersection flashes its lights. The officer tells me there's a wildfire up the road and the route to the park is closed. Grrr! After getting up that early and driving all the way down there, I wasn't about to just turn around and go home. I needed a Plan B. I knew I wasn't too far from Arroyo Seco Road, and from my 6-hour bike rides out there, I vaguely remembered some pretty trees in some pretty fields. So off I went, racing to find something interesting as the sky continued to brighten. I found this spot along Arroyo Seco Road. The trees and the open pasture looked interesting. I paced up and down the side of the road looking for a good composition, but it wasn't easy. I couldn't get the tree completely isolated from the busy scrub brush-covered hills in the background. I enjoyed the challenge though...there is something therapeutic about being out in the chilly morning air, peering through a viewfinder, searching for something inspiring. I love mornings with my camera. Of course my attention always turns from the wide landscapes to the little details close-by. The cloudless sky continued to brighten so I headed back down the road toward home...but not before I spotted this old barn in a field down below the road. I knew I had to make one last stop on the way home. Several times a week I ride my bike out River Road, and recently there has been a beautiful display of yellow and purple wildflowers in a pasture beside the road. So the morning didn't work out the way I expected, but I still found some nice scenes. More importantly, I still got to explore with my camera. And that makes me happy. Get out there and explore this weekend! Terry and I used to shoot a lot of waterfalls. When we lived in Japan we actually had a book the listed locations of hundreds of waterfalls. Of course, the book was in Japanese so I had to play a little game of trying to match the thumbnail map included with the directions to our bilingual road map, but we still found quite a few of the waterfalls. When we went on vacations we'd continue our hunt for tumbling water, leading to hundreds of blurred water images from all over the world--or at least all over Asia and the US. I don't know why we don't hunt for waterfalls anymore. I know there are a few not far away along the Central Coast and spring is always a great time to go find a fall with fresh snowmelt and spring showers fueling the flow. Perhaps we just need to make time. Or perhaps we just need a little reminder...and that's what Thirsty Thursdays are for...a little reminder to go out and doing something or find something cool this weekend. Enjoy the waterfalls. I tried to include a name or location, but some of them I don't know or don't remember. Little Missouri River, Ouachita National Forest, Arkansas. Another view of the Little Missouri River, Ouachita National Forest, Arkansas. Tucked away in the rainforest near Cairns, Australia. Close-up of water gushing into Milford Sound in New Zealand. Terry shot this with the 100-400mm lens from a boat. Stream emptying into Lake Superior along Pictured Rocks National Seashore, Upper Peninsula, Michigan. Another waterfall somewhere near Marquette, Michigan. We spent a whole weekend scouting falls in north central Japan and found these two images along the way. Close-up of a rushing stream near Nikko, Japan. Prom was last weekend at Pacific Grove High School. After living in PG for awhile and Terry coaching the PGHS boy's soccer team for a couple of seasons, we've made a few friends there. And a few of those friends know we do photography and ask us take a few photos every now and then. Last year Terry did photos of Honor and her boyfriend Niccolo before prom and came away with some great images. Of course Honor asked Terry to do some photos of them again this year, but Terry was in Colorado last weekend...which left me to shoot all by myself! I was a little nervous...I had never done a portrait shoot by myself. The unspoken division of labor around Welliver Photography goes something like this: Terry shoots people, wildlife, and Massey; I shoot landscapes, flowers, and muddy bikes. This division isn't on purpose, its just the way the best images seem to play out. Shooting these two for prom was clearly Terry's lane, but I figured I'd take one for the team and try to produce something to commemorate Honor's last high school formal. Fortunately my job was fairly easy. Honor is beautiful and Niccolo is a cutie and together they are adorably fun. The hardest part of the evening was the wind howling off the ocean, but we made it work. Here are a few images from our whirlwind shoot before these two headed off to dinner and the big dance. Thank you Honor and Niccolo. You guys are great. In honor of the first night in the Friday Night Racing series tomorrow night at the track, I thought a little Hellyer Park Velodrome love was in order. Terry, who has suffered through supported me at just about every possible form of bike racing out there will tell you that track racing is the most spectator-friendly cycling discipline. Cyclists whip around a 300-meter banked track on fixed gear bikes with no brakes. It sounds dangerous, but the lack of brakes, coasting, or shifting keeps everyone moving at a consistent pace, so events with experienced racers are actually very safe. The racers compete in various events throughout the evening, from 1-on-1 match sprints to straight-forward scratch races to chaotic points races, and there's even a kiddie kilo for the little ones to take a lap around the track. The Friday Night Races are quality events. Race Promoter Hernando throws a pretty rockin' party at these Friday Night Races, and local racer/photographer/designer-extraordinaire Steve Anderson designs awesome posters to get the word out. Seriously, how cool is this poster? On a typical Friday night you can expect to see numerous world and national champions, current pros, and up-and-coming uberfast racers throwing down the gauntlet and going all out--incredibly fun to watch. For photographers, the track is stacked with shooting opportunities. Early the evening the light streaming from the west end of the track is great. The racers are very accessible at the event as well. Between events you can get down on the infield for a different perspective. This is one of my favorite moments that Terry captured at the track...these two had just finished an incredible head-to-head battle in a match sprint. Afterwards, in true Hellyer fashion, they congratulated each other on a good race. That's the best part of the Hellyer community--everyone is supportive and encouraging. A very inviting place to race. Hellyer Park Velodrome is located in Coyote-Hellyer Park just south of San Jose (995 Hellyer Avenue, San Jose, CA 95111). From the 680/280/101 interchange take 101 south for 5 miles to the Hellyer Ave exit. At the bottom of the off-ramp turn right. At the stop sign go straight into Hellyer Park and follow the signs to the velodrome. The spectator gate is located on the south end of the velodrome (from the parking lot walk counter clock-wise around the track to get to the gate). There is a $6 per vehicle Santa Clara County park entrance fee, but admission to the race is free! If you can't make it out to the track this Friday, there are more Friday Night Races in August and September. Racing goes on at Hellyer on days and nights other than Friday too, so check the Hellyer calendar to see what's coming up. If you're interested in racing at Hellyer (which I highly recommend! ), you'll first need to complete 3 beginner sessions. These sessions are typically on Saturday mornings, but again, check the calendar. Should be a great weekend...get out and enjoy it! Something a little different this Thursday...not so much about a cool place to go shoot, but rather about an attempt at shooting some film! About a month ago I walked into the local camera shop with 3 rolls of exposed Kodak Tri-X 400 black and white film in my hands. I bought this film when we lived in Japan...yep, that's right, purchased 2006 most likely. It was well past the expiration date! I found one roll already exposed when I was organizing some camera stuff when we moved into the new house. The other two rolls I took recently. Actually, that's not even true...I found my film camera with a 1/2 exposed roll in it. So I had a roll and a half of mystery images (I had no idea what that old stuff might be) and a roll and a half that I had shot within the last few weeks. I waited the requisite week to get the processed film back from the lab and then had to wait a few more days for Terry to scan the film with our Nikon CoolScan film scanner before I actually got to see what I had. It turns out that the old "mystery roll" was pretty old...from 2008! That also means it was exposed, tossed in a box, moved Lousyana, endured the heat of that place, moved back here to California, and finally shown some chemical bath love. Back in '08 a friend was considering buying a digital camera, so I loaned him my digital camera when he went out to shoot with us at Point Pinos one evening, and I shot film with an old Nikon full manual camera. Here are a few from that evening. I played around with the blur tool in Aperture and made this one look a little bit like a tilt shift. Best I can do since Terry won't let me get an actual tilt-shift lens. A few months later we went to Yosemite. I guess I took the camera with me to finish that roll from the summer evening at the beach. I don't even remember having it with me. But of course I took a Tunnel View photo in black and white--because no one has ever done that before! Fast forward to 2011...I decided to try a roll in my Canon Elan 7E on our way north along the coast to Pescadero. I used the Photodiox adapter with the Nikon 50mm manual lens. It was pouring down rain, but I couldn't let this bike go without a quick photo. Terry kept making fun of me because I kept looking at the back of the camera after snapping the shutter--but there's no instant feedback in the form of a LCD screen on the back of a film camera. To finish off that roll I took the camera along on a quick hike with the dog in Ft Ord and shot a few here at home. With all the bike riding / racing I'm doing these days, its not easy to get away to shoot for a whole day, much less an entire weekend. But changing up the routine in familiar locations proved fun. I got something different than my normal images and that makes me happy. Get out and try something new or different this weekend. You might be surprised by the results! Rambler: Beth Drink at Hand: 2008 Yosemite View Chardonnay...well that worked out rather fortuitously! The last 2 weeks have been anything but "springlike" around California. Here on the coast we've had some serious rain and a some wind to go along with it, while the Sierra is getting pounded with storm after storm, each dumping feet of snow up there. This week has been so bad in the high country that all the roads to Yosemite are closed from snow, ice, flooding, rockslides, downed trees/power lines, or a combination there of (though I just heard that the main highways will be open again tomorrow). All this talk of a snowy Yosemite Valley made us think back to our own snow-venture we had up there back in 2008. Terry's parents came out to visit for Christmas, and on Christmas day we headed up to the national park, dragging a lovely winter storm along with us that dumped roughly 18" of snow over the course of 2 days. The great thing about visiting Yosemite in a snow storm on Christmas is that you pretty much have the place to yourself. Unfortunately all the snow made a lot of spots inaccessible, but we were still treated to some fantastic scenery. We all wished we had snowshoes to get off the roads and out of the parking lots for a bit, but it was still beautiful. The snow stuck on the trees for the duration of the three days we were there, which accordingly to locals, is a rarity...it normally falls off or blows off as soon as the sun comes out. Blue skies and snowy trees...doesn't get much better. Enjoy this mix of photos from both of us. See how hard its snowing?! Trees and snow...made for black and white. This is one of my favorite shots ever. Deer butts!!! It was so cold that Bridal Veil Falls was just barely flowing. But the Merced River still had plenty of water running. The next day the sun came out and made everything spectacular. Terry was on fire capturing some dramatic light throughout the Valley. Two photographers = two perspectives on the same subject. Unfortunately we won't be making it to Yosemite any time soon. I can only imagine how incredible the park must look with all that fresh snow. Perhaps next winter. And next time we are taking snow shoes!! Last week involved a lot of catching up and finishing up for me. My new job starts soon, and it seems that all those little projects that I had slated to accomplish during my down time just haven't gotten done. Add in a couple of graphic design projects for the Terry and a friend, and it made for a busy week of hovering over the computer. Even though I didn't get to head out on any adventures (besides my bike rides), I did still grab the camera a few times. We have a lovely tree that surprised me with some beautiful spring blossoms. The CSA box continues to inspire yummy dinners, though I'm getting a little tired of cutting chard leaves from stems. Every week! My outside Crocs. Appears they need a bath. Tails of finished projects (scarf and a beanie). The never-ending scarf. I knit and knit and its still not done! My cuties posing for the camera. Poor Massey had 2 ticks get her just above the eye. Hopefully her fur will fill back in up there. And speaking of that never ending scarf and that 4-legged cutie...she decided that the needle holding the stitches on that scarf were a chew toy while I was out for a ride. I came home to the scarf on the ground and only a chewed nub of a needle by it. She had taken all the other pieces in the other room and hidden them under her blanket. Terry found them later. Fortunately she was quite careful when she pulled the needle out of the stitches and I was able to slide a new needle back into place without dropping a stitch. She's a very considerate saboteur. The horrific images coming from Japan this morning are positively heartbreaking to me. Japan was our home for three and a half years. In that short time we fell in love with a country and a culture unlike anything we've experienced anywhere else. We are forever infected with a love of simplistic living amongst fast-moving chaos that is Japan. So much of Japan is a conundrum, with high-speed trains and neon lights mixed in with mom and pop noodle shops and ancient shrines. We were fortunate to live in a suburb of Tokyo, so a 30-minute train ride east took us into the heart of one of most lavishly modern cities in the world, while a 30-minute drive west took us into lonely and wild hills with idyllic mountain streams tumbling through gorges of towering rock down to tiny little villages hanging perilously on the edge of time. So as I watched scenes of shear devastation and destruction flash across the tv screen this morning, I wanted to cry. The big cities, like Sendai near the quake's epicenter, are built for "the big one". We lived in a 9-story apartment tower built to sway back and forth in the event of a quake (and it did!). But all those little villages are simple wooden houses and buildings. For those coastal towns that might have withstood the shaking, the tsunami has most likely done them in. Not much can withstand the power of a tsunami. Lives and livelihoods forever lost. Simple lives of rice farmers and fishermen. Gone. Processing photos from our time in Japan has been on my list for several months now. Our collection of images from there is overwhelming in size, which has made it hard to start. But this morning I sat down and started looking for those images that spoke to me about the simple life. I found a few. A number of the images I stumbled across this morning are from a road trip we took to the western part of Honshu, the main island in Japan. Few tourists visit this area, so my blond hair and blues eyes were quite the novelty in some areas and we couldn't count on someone to speak English to help us read a menu like we could around Tokyo. But we really saw rural Japan...a part of Japan that is quickly dying with its aging, negative-growth population. The brunt of the devastation happened on the opposite coast on the opposite end of the island from these images, but the scenes are similar--villages tucked neatly into coves between a wall of mountain and a relentless ocean, and wide plains squared off into rice paddies. Our thoughts are with you Japan. I've been on a little kick with the 50mm Nikon Nikkor lens borrowed from Terry's mom. Its a fully manual lens that requires a Photodiox adapter to work on our Canon cameras. It takes some patience to focus it and a little bit of trial and error to get proper exposure in bright light, but I'm starting to figure it out. I especially like the f/2 aperture, which is a larger aperture than we have with any of our regular lenses. Here are a few photos that I took in the morning over the weekend...makes it look like we had a lazy weekend, but between mountain bike races and running the dog and a tag-team webpage design effort (he codes while I do graphics), it was a busy one. Happy Monday! And one image that wasn't from the morning...Marianne's makes the best ice cream! And luckily our local market carries it so we don't have to go to Santa Cruz to get it. Seasoned Welliver Photography readers would assume that Terry is the author of this post given the title. But this time its me, Beth, writing about watching a bike race. Yes, I was supposed to be racing, but a few weeks back I was recovering from something horribly nasty that decided to live in my throat, nose, head, and anywhere else something gross can live (dare I say thrive?) for the better part of 2 weeks. Icky! So instead of racing the season opener, I went to cheer on my new Bike Station Aptos teammates at the local CCCX mountain bike race at Ft Ord. I had 3 teammates in the race. They did 5 laps. Total race time was about 2 hours. That means I stood along the trail to cheer and snap a few photos 15 times over the course of 2 hours. In other words, I had a lot of free time while waiting for them to come streaking by each time. The experience made me deeply appreciate Terry's dedication and patience while I race my bikes! Below are a few of the images I captured during my "down time". I was a little surprised to find a few early season wildflowers (amongst the annual bumper crop of Ft Ord Poison Oak). This is proof that I really was at a bike race. Go Courtney! The race was at Ft Ord's old Fam Camp...complete with old playground relics sprinkled here and there. Actual race photos of people actually racing their bikes can be found here. Note: taking race photos is super hard. I also gained a greater appreciation for Terry as well as all those other phenomenal race photographers we have floating around NorCal. Y'all have serious talent as photographers. Next weekend I get to go race my mountain bike on those trails. Yeehaw! Not much of a blog here...just days 2 and 3 after her recovery. After a somewhat lazy first day back, she's back on form. The Mas (a.k.a. Massey) has been out of commission for the last couple of weeks...which means we've had a very energetic puppy for a while. Let me explain the details of her injury. We were out running at Creekside; or should I say, I was out running at Creekside and she was exploring the fields in front, behind, and all around me. Everything was just fine until we got back home and I was doing the normal "tick check" and found she had a nice 1/4" gash on her chest. She seemed not to notice of course. Unfortunately, after giving her a bath, the cut wasn't going to close without assistance. Thus, we had to take the poor little thing to the vet for a staple. The staple meant no running...which did not go over well with her. Take a look at these photos to understand...pure joy...they are from previous runs (before the two week intermission). Fortunately, everything has healed and she is good to go. She had the staple removed (rather it fell out) last Thursday. We like to think she willed it out of her body so she could go running again. Here are just a couple of shots from her run today...suffice it to say, she was a bit out of shape. But really, that doesn't matter to her...she just loves being out there.